When I was a kid, if my mom asked my dad what he wanted for dinner he always gave her the same answer: Chicken Fried Steak. Heat about a cup of oil on medium-low in a deep pan on the stove. 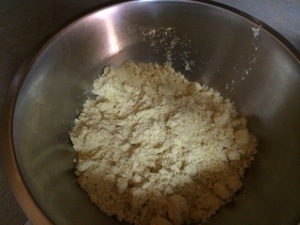 Dump your crackers in the blender and pulse until they are a fine powder. 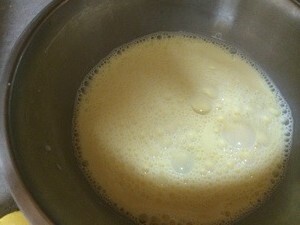 Whisk together your eggs and milk. 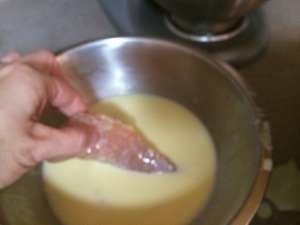 Dip your meat into the liquid mixture. 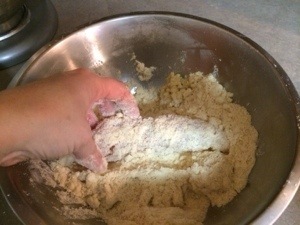 Roll the meat into the dry ingredients. Do a double coat! 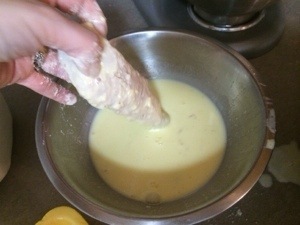 DIp it back into the egg mix. 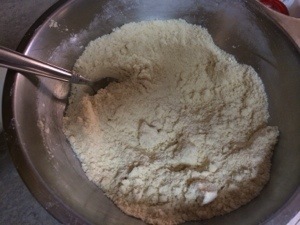 Coat one more time in the cracker/flour mix. 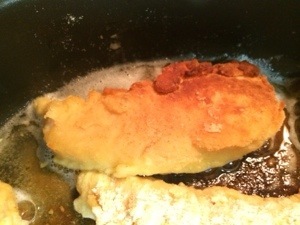 Drop your meat into your pan of oil. Cook it on medium-low heat. Don’t be tempted to turn up the heat– The outside will cook too fast and leave your meat raw in the middle. These are perfect with some loaded mashed potatoes!